The health and fitness value of a cardio-centric workout several times each week is well documented. And my nutritionist friends have assured me that weight loss is a simple matter of calories consumed vs. calories burned. Every 3,500 calories = 1 pound. If you eat 3,500 calories more than you burn, you will gain a pound, if you burn 3,500 more calories than you eat, you will lose a pound. This is not new news. I have known this since I battled with the extra pounds I put on after college. Playing keyboard in studios all day and mixing songs all night may be an awesome way to make a living, but (with close proximity to the craft services table and any kind of food you could ask for available all the time) it was not conducive to cardio-fitness or weight loss. Fast forward to June 1, 2013. My youngest son graduated college at the end of May and moved back home. Taking a look at my somewhat oversized frame, he politely suggested that we should start walking an hour each morning. I thought this was an excellent idea. So we started walking every morning for an hour. For several weeks, we didn’t miss a day. Walking an hour a day, at any pace, is awesome. The benefits include a sense of well-being, more energy and remarkable physiological changes. The medical benefits are well articulated by health and wellness professionals, so I won’t go into them here. One day a few weeks back, my son could not walk with me, so I plugged my headphones into my Samsung Galaxy S4, picked a pseudo-dance mix from Spotify and went walking by myself. As you can imagine, some songs were easy to walk to and others were not. Walking to the beat of a song that was approximately 120 BPM (beats per minute, which is march tempo, by the way) was easy, slower songs were too easy or just too slow to walk to and anything much over 130 BPM put me into a slow jog, which my knees were not ready for. The answer was a Spotify playlist that was selected/created by BPM – awesome, if you like someone else’s musical taste, not so awesome otherwise. Get a Spotify premium account. It’s $10/month and worth every penny. The premium service will allow you to download and play your music on up to five devices (including, of course, your smartphone). Make a playlist on your Spotify Account called, “Walking Music 120 BPM” or something you’ll recognize. Visit http://walk.jog.fm/. You can use their service, if it works for you, or just use their database. I decided to use their database, not their service. Search songs titles by BPM or Artist or Title. When the song or songs display, click listen on Spotify. 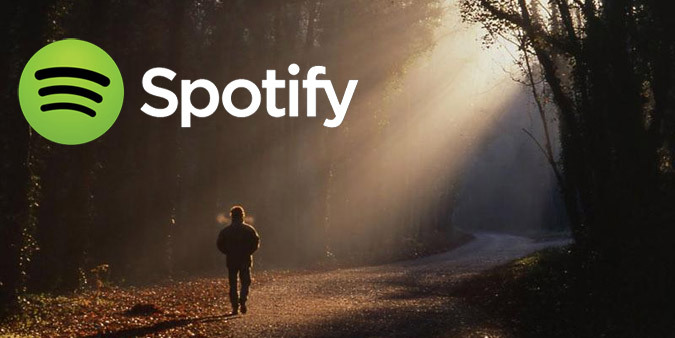 Spotify will open (if it isn’t already open) and start playing the song. If it is the song you want, just drag it to your playlist. Repeat steps 4-7 until you have 20 songs. Set the cross fade on your Spotify mobile app to 12 seconds. To do this, press the hamburger button on the top left of the app, tap settings and scroll down until you see the crossfade slider, then slide it to 12 s.
Make sure your smartphone has synced with your Spotify app and the music has downloaded. Go walk for an hour keeping pace with the beat. Now, as you get better at this, you will want to walk faster. 120 BPM is about 3.7 miles per hour. When you get at or near 130 BPM, you’ll be up to 3.9-ish miles per hour. This technique works at any speed. If you want to run a 10-minute mile, this will work. You just need to get your BPM to a comfortable pace for the workout you want. Don’t get crazy about each song being exactly 120BPM. Depending upon how long your natural gait is, you may need to adjust the BPM higher or lower. Most playlists will work well +/- 5 BPM, so if you’re thinking about a 120 BPM playlist, you will be fine in a range from 118-122. I like to pepper in faster songs to push the pace, so my 120 BPM playlist has songs up to 132 BPM in it. If a song is too fast or slow at any given point in my walk, I just skip over it. I’ve been using my Jawbone UP band, its associated app, and the MyFitnessPal app to monitor my exercise, sleep and caloric intake. The results have been pretty stunning. I walk every day, using a personal playlist on Spotify. I’ve lost over 22 lbs in 10 weeks and I’m feeling better than I have in years. If you think walking everyday will help you (and I know it will) try it with a playlist that will keep you on track – Spotify your way to health and fitness!